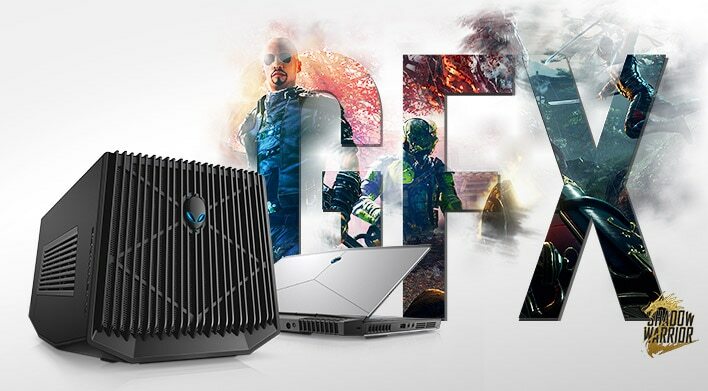 Plug in the Alienware Graphics Amplifier to unleash stunning, graphics-intensive 4K and virtual reality games on your notebook or small form factor. Enhance the intensity: The Amplifier is now compatible with more graphics cards than any other competitor and is engineered to support future upgrades. Plug in to a battle station: It connects to your notebook with a single cable, enabling the PCI-Express graphics card connection as well as four USB 3.0 ports for less clutter and simple connectivity. Hook up your favorite display: Enjoy the performance of a desktop graphics card on your Alienware 13, 15 and 17 R2 & R3 notebooks, LCD, Alpha R2 or on any external display connected to the amplifier. For years, gamers have been forced to compromise. 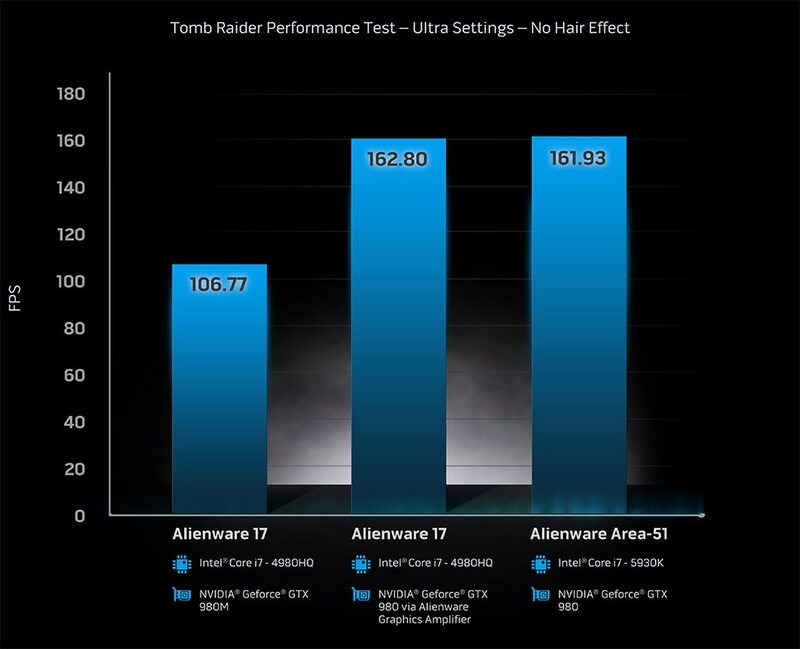 They could choose a notebook for prioritized mobility, but miss out on some of the performance and graphics experience only a gaming desktop can provide. Alternatively, they could enjoy truly intense at-home play, but stay chained to the desk. 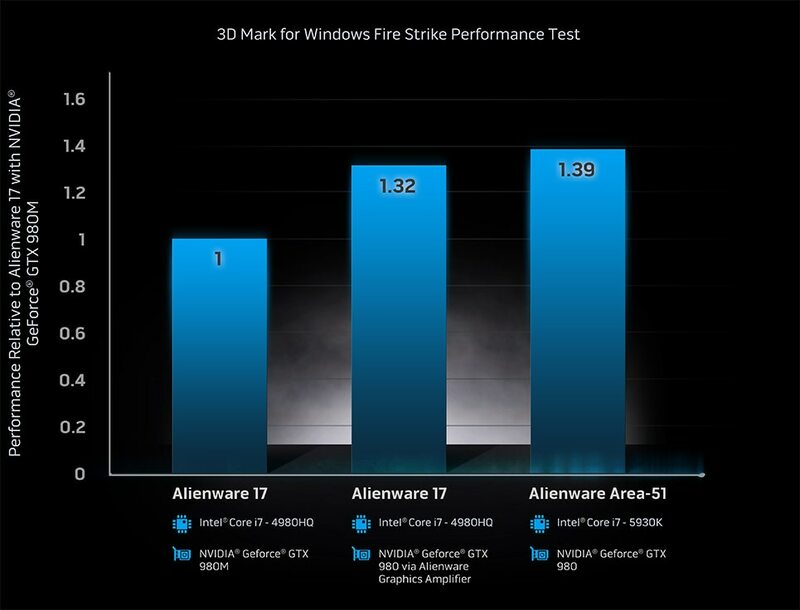 Finally, we have a means to deliver desktop-class, high-performance gaming graphics even to our most mobile laptop . Full Force: The graphics amplifier includes a 460 Watts internal power supply so you can run advanced graphics cards confidently. It’s designed with a single cord (6ft) that connects exclusively to the Alienware 13, 15, 17 R2 notebooks, Alpha R2 and X51 R3. -	No, unless otherwise noted. Does it work in SLI/Crossfire? We provide deeper backwards compatibility for available GPUs compared to TBT3 options and offer support for a single full-length, dual-wide, PCI-Express x16 graphics card. This system can support graphic cards of up to 375W and NVIDIA® GeForce® GTX 600 as well as AMD Radeon HD 5000 series and newer. The Alienware Graphics Amplifier’s technology uses a direct hardware connection, while the Thunderbolt 3 technology is based on a platform with shared bandwidth. 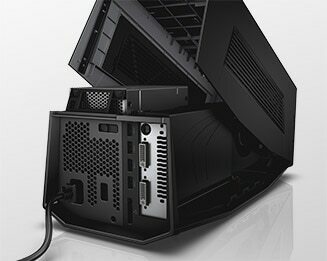 Alienware’s amplifier will never share, or compromise, the bandwidth to your system’s GPU. Instead, it provides reserved high bandwidth directly to your system’s GPU with one unique cable connection. Alienware Graphics Amplifier utilizes four lanes of dedicated PCIe Gen 3. The Thunderbolt 3 specification is capable of either two or four lanes of PCIe depending on the OEM’s implementation of Intel’s technology. Alienware gains an advantage by having these lanes dedicated to graphics that are not shared by LAN, USB or display ports. Can you run Virtual Reality through the Alienware Graphics Amp?